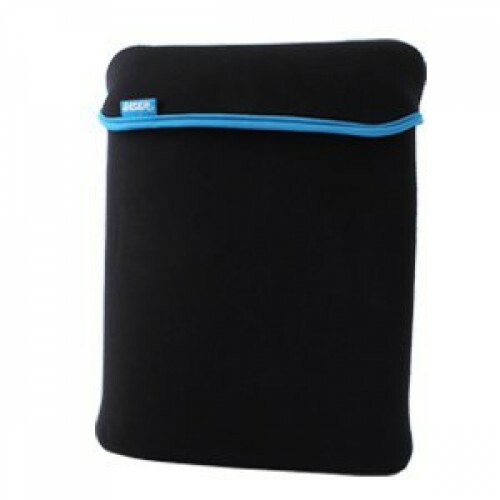 Smart Notebook Sleeve For Up To 15.6", With Reversible Colours, Black & Blue. Made from a soft non scratch neoprene (like a wetsuit). What is a “CLEARANCE” item? Clearance items are those special-buy items which are only available direct from the LASER web site. These items have been heavily discounted to clear at well under the Recommended Retail Price. The product may have been: over purchased and retail trade partners were unable to take for the extra inventory for their promotion; part of a special deal from a supplier but the quantity was not enough to distribute through retailer channels; returned from a retailer as it didn’t sell through in a set period of time (called stock rotation). Such stock may have retailer security tape or markings still on the packaging, for example and perhaps some slight soiling and/or marks on the packaging. All the above products come with full 12 month LASER warranty and full accessories. The major proportion of goods have been unused and unopened, however some may have minor blemishes on the actual product even though the utmost of care has been taken during processing and return from our retail partners or suppliers.